WORDS WITHOUT BORDERS — Join us Monday, November 14, for this fascinating program! Virtual reality has become a thing…and it can help you become a better writer! Understanding the literacy impacts of immersive virtual reality when it comes to other cultures is important, especially when looking at working with international clients. When you can interact in real-time with people across the world, you can bridge gaps that were previously guarded by deep waters, and you can become a student and a teacher at the same time. This discussion will focus on using virtual reality tools in new and different ways in the literacy field, to interact with individuals in different cultures and backgrounds. Gain advice from expert Andrew Rusnak on working with international clients, non-English speakers, and more. The truth is that the Internet has brought all of us closer together than ever before, and virtual reality technologies are simply one more step in the ever-present quest for connectivity, understanding, and the ability to preserve and promote literacy across the planet. By most accounts, Andrew Rusnak is a pretty cool dude. 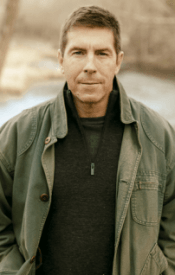 In 2010, he decided to venture out into the wilderness of words and become a freelance writer. Since then, he’s concocted thousands of pieces of content for entities such as eBay, Sears, K-Mart, Greater Charlotte Biz Magazine, and about a bazillion other companies (fun fact: Microsoft Word recognizes the word “bazillion”). Currently, he resides in Lancaster, SC, and despite being awesome all day, he is humbly learning how to be a dad with the help of his beautiful wife Christina. BIBLIOFEAST 2016 is Monday, October 17! BUY TICKETS THROUGH SATURDAY, OCTOBER 15! Ticket deadline October 15 — must be purchased in advance! Book clubs invited and encouraged to attend as groups. If you come with your book club members, we’ll reserve a table for you! Tickets are now available online (credit cards via PayPal). CLICK HERE TO GO TO OUR ONLINE TICKETS ORDER FORM. Tickets also may be purchased at Park Road Books (check or cash only) starting September 7. Tickets must be purchased in advance — deadline October 15! This coming October, the Charlotte Chapter of WNBA will sponsor our 7th annual BIBLIOFEAST book and author dinner in celebration of WNBA’s National Reading Group Month. Our very successful 2015 BIBLIOFEAST highlighted 9 authors and was attended by 60+ people. This year we’re including 10 authors and 60-70 attendees. PLEASE SPREAD THE WORD! Invite your friends, fellow book club members, and colleagues. PLEASE SHARE THIS BIBLIOFEAST FLYER ONLINE!! And print it out and post it for others to see, too. THANKS! QUESTIONS? Please contact Susan Walker, National Reading Group Month Events Manager, susan.walker.books@gmail.com, 612-382-5868. Thank you! THANK YOU to our 2016 National Reading Group Month Official Sponsors! WNBA Charlotte’s Fall Social & Networking Meeting Is Monday, September 11! As our reading guide, we use the list of 2015 Great Group Reads titles recommended for book clubs during WNBA’s National Reading Group Month. Starting in November 2015, we’re reading books from the current 2015 Great Group Reads list. See below! Our book for our May 3, 2016, meeting is…. In the tradition of Anita Diamant’s The Red Tent, HENNA HOUSE is the enthralling story of a woman, her family, their community, and the rituals that bind them. 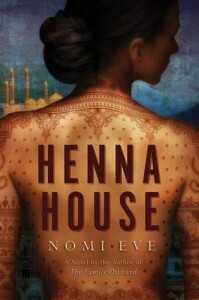 Nomi Eve is also the author of The Family Orchard, which was a Book-of-the-Month Club main selection and was nominated for a National Jewish Book Award. She has an MFA in fiction writing from Brown University and has worked as a freelance book reviewer for The Village Voice and New York Newsday. Nomi’s stories and essays have appeared in The New York Times, Glimmer Train Stories, TheVoice Literary Supplement, Conjunctions, and The International Quarterly. She teaches fiction writing at Drexel University and lives in Philadelphia with her family. Our meetings take place on the first Tuesday of each month, 7 PM, at the Panera on Fairview near SouthPark — see dates below. We have chosen books to take us through to next October when there will be a new Great Group Reads list released. 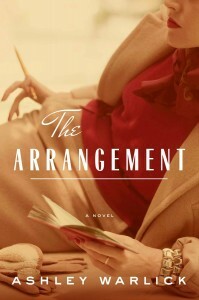 If you have questions about our Book Club, please contact Kristen Knox at whitreidsmama@yahoo.com. Come to the next WNBA Great Group Reads Book Club meeting, Tuesday, April 5, and Skype with us and author Christopher Scotton! Our book for our April 5, 2016, meeting is…. SPECIAL NOTE! We are going to Skype with Christopher Scotton during our book club meeting! 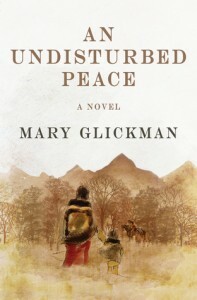 A debut novel about a fourteen-year-old boy who witnesses the death of his younger brother in a horrific accident, for readers of To Kill a Mockingbird, Peace Like a River andCold Sassy Tree. 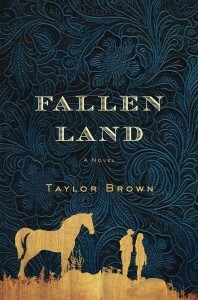 Timely and timeless, this is a dramatic and deeply moving novel about an act of violence in a small, Southern town and the repercussions that will forever change a young man’s view of human cruelty and compassion. After seeing the death of his younger brother in a terrible home accident, fourteen-year-old Kevin and his grieving mother are sent for the summer to live with Kevin’s grandfather. In this peeled-paint coal town deep in Appalachia, Kevin quickly falls in with a half-wild hollow kid named Buzzy Fink who schools him in the mysteries and magnificence of the woods. The events of this fateful summer will affect the entire town of Medgar, Kentucky. Medgar is beset by a massive mountaintop removal operation that is blowing up the hills and back filling the hollows. Kevin’s grandfather and others in town attempt to rally the citizens against the “company” and its powerful owner to stop the plunder of their mountain heritage. When Buzzy witnesses a brutal hate crime, a sequence is set in play that tests Buzzy and Kevin to their absolute limits in an epic struggle for survival in the Kentucky mountains. 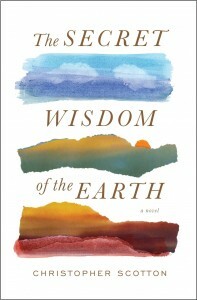 Redemptive and emotionally resonant, THE SECRET WISDOM OF THE EARTH is narrated by an adult Kevin looking back on the summer when he sloughed the coverings of a boy and took his first faltering steps as a man. His story is one with a rich cast of characters and an ambitious effort to reclaim a once great community. Here are the books we’ll be reading in 2015-2016! Our special guests will join us for an evening of conversation and refreshments. Each author will speak briefly about her or his book, and there will be plenty of opportunity for one-on-one questions and discussion. Park Road Books will sell books. Don’t miss this unique opportunity to meet these four novelists and get signed copies of their new books. Please DO bring your friends and fellow book club members, too. We want to make sure we greet our guest authors with a large and enthusiastic audience! If you have questions about our Spring 2016 Meet the Authors Evening, please contact Susan Walker at susan.walker.books@gmail.com or 612-382-5868. Thanks! Join us March 14 for a fascinating international program! 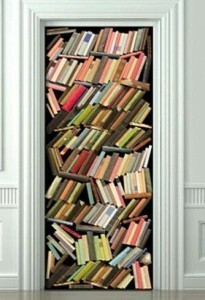 Expand your reading world! Come to our March 14 meeting at Park Road Books and add an international flavor to your reading list! WNBA-Charlotte is delighted to welcome Davidson College French Professor Catherine Slawy-Sutton. Professor Slawy-Sutton will introduce us to the francophone literatures of North Africa (the group of countries collectively known as the Maghreb) and Vietnam, with a focus on women writers. We will also welcome the International House reading group moderator, with details of their selections and themes. Born in Angoulême, France and raised in Dakar, Senegal, I hold a Masters degree in English from the University of Nice, France and a Ph.d in French from Indiana University, Bloomington. At Davidson, I teach all levels of language and literature, from French 101 to Senior Major Seminar. I particularly enjoy teaching my Introduction to Literature course “Childhood and Youth,” and my higher-level courses, “North Africa in Novel and Film,” “Maghreb: Francophone Authors,” “Asia in Novel and Film” and “Vietnam: Francophone Authors.” My research informs my teaching: I am interested in studying and teaching writers considered marginal in their own times or contexts. 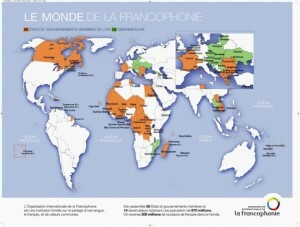 While my primary research interest has been Colette, I have also written on the genre of women’s autobiography, the contemporary French novel, literature or film by francophone authors from the Maghreb and Vietnam, and on the meaning of having been raised in Africa during the last few years of colonization. My current work focuses on Franco-Algerian writer Karima Berger. I have served as newsletter editor for Women in French, as Review Editor for The French Review, as Resident Director on the Davidson-in-France program, and as Chair of the Department of French and Francophone Studies. International House is a leading provider of direct services to Charlotte’s ever-growing international community, which numbers more than 104,000 immigrants and foreign-born citizens. A grassroots non-profit organization with a mission to promote international understanding and to serve immigrants in need, International House offers foreign-language conversation hours, cultural events, an international book club, citizen diplomacy programs, an international women’s group, language classes, free citizenship workshops, legal services for low-income immigrants, and much more. Their International Book Club is in its third year, meeting monthly to share a love of reading and learn about diverse cultures by reading novels by international authors, with international settings and/or international themes. As our reading guide, we take the list of 2015 Great Group Reads titles recommended for book clubs during WNBA’s National Reading Group Month. Starting in November 2015, we’re reading books from the current 2015 Great Group Reads list. See below! Our book for our March 1 meeting is…. 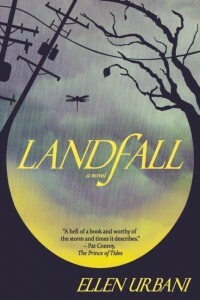 Two mothers and their teenage daughters, whose lives collide in a fatal car crash, take turns narrating Ellen Urbani’s breathtaking novel Landfall, set in the wake of Hurricane Katrina. Eighteen-year-olds Rose and Rosebud have never met but they share a birth year, a name, and a bloody pair of sneakers. Rose’s quest to atone for the accident that kills Rosebud, a young woman so much like herself but for the color of her skin, unfolds alongside Rosebud’s battle to survive the devastating flooding in the Lower Ninth Ward and to find help for her unstable mother. These unforgettable characters give voice to the dead of the storm and, in a stunning twist, demonstrate how what we think we know can make us blind to what matters most. 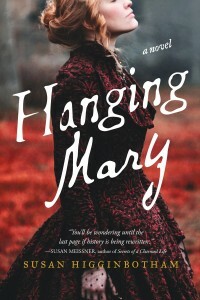 Ellen Urbani is the author of Landfall (2015, Forest Avenue Press), a work of contemporary historica l fiction, and the memoir When I Was Elena (2006, The Permanent Press; a Book Sense Notable selection). Her writing has appeared in The New York Times and numerous anthologies, and has been widely excerpted. She has reviewed books for The Oregonian, served as a federal disaster/trauma specialist, and has lectured nationally on this topic. 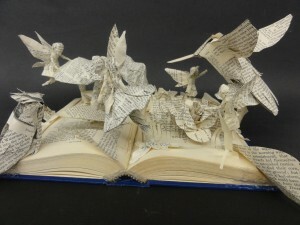 Join us Monday, February 8, and learn to make BOOK ART! 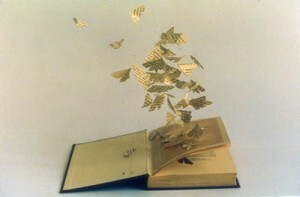 Join us to learn h ow to create book art! And put them on canvas! 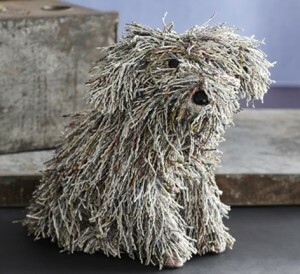 Simply bring an old book you wouldn’t mind turning into book art, or any crafting paper you have around the house. We’ll see you at the Michaels store at Park Road Shopping Center! OK — so maybe we won’t get quite this fancy………..
Our book for our February 2 meeting is…. Every day, three times a day, the students march in two straight lines, singing praises to Kim Jong-il and North Korea: Without you, there is no motherland. Without you, there is no us. It is a chilling scene, but gradually Suki Kim, too, learns the tune and, without noticing, begins to hum it. It is 2011, and all universities in North Korea have been shut down for an entire year, the students sent to construction fields—except for the 270 students at the all-male Pyongyang University of Science and Technology (PUST), a walled compound where portraits of Kim Il-sung and Kim Jong-il look on impassively from the walls of every room, and where Suki has accepted a job teaching English. Over the next six months, she will eat three meals a day with her young charges and struggle to teach them to write, all under the watchful eye of the regime. 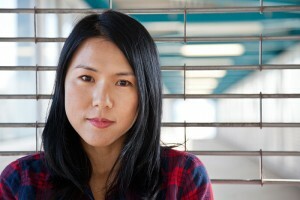 Suki Kim is the author of the award-winning novel The Interpreter and the recipient of Guggenheim, Fulbright, and Open Society fellowships. 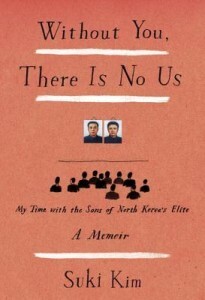 She has been traveling to North Korea as a journalist since 2002, and her essays and articles have appeared in the New York Times, Harper’s, and the New York Review of Books. Born and raised in Seoul, she lives in New York.